September 27, 2018 was the official fall start of my “Trudeau Must Go Now” street campaign. I needed to test my winter gear, locations to best gain public awareness and to evaluate what ‘educational materials’ to hand out. Along with this I was going to solicit funds for the necessary legal fees to see Trudeau, his mob of ‘henchpersons’ and the sources of Islam prosecuted in the Courts of our Nation. The bitter cold wind and sun sporadically breaking through the overcast sky found me positioning myself at Walmart. I stood to the right of the Grocery – Clothing entry. I was blocking no one with the “Trudeau Must Go Now” sign hanging around my neck. All persons passing gave nods of agreement, smiled or made thumbs up hand gestures. Two First Nations parties spoke with me while there. One man going in and a man and his wife coming out. The man and woman said “we don’t come to town often because of the immigrants.” Their frustration was voiced stating “immigrants have taken over the jobs”, giving example of “immigrants control the taxis”. This is a common complaint of not just First Nations people. But, the First Nations largely see Trudeau and his treatment of them as being prime cause of their problems. Now, a Muslim delivery man did not like what he seen taking place or the First Nations man that entered alone gave my hand-out about Trudeau and Islam to one of the “Immigrant Staff” which are over running the North Battleford Walmart. 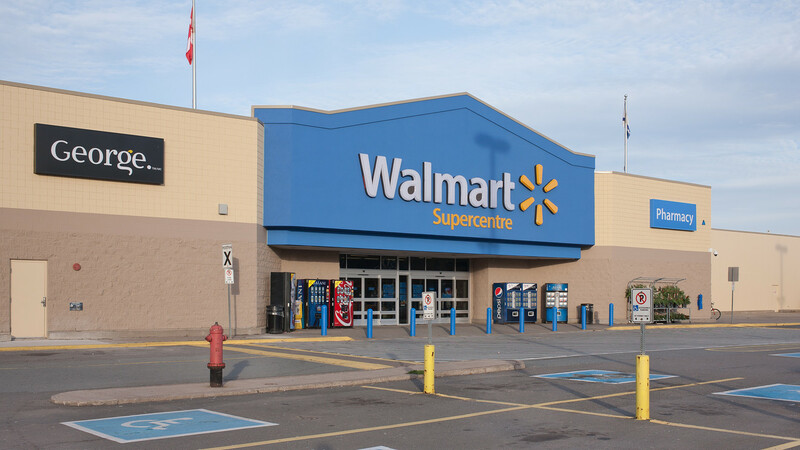 The plethora of Muslims employed by Walmart is also a common irritant expressed by many Canadians. So, it was 17 minutes after taking up position that our lad Brad the assistant Manager waded in, grinning at the sign but vocalizing what he had to. I believe it may have been Tanya the Store Manager lurking in the doorway background. I was told that he could not allow anyone to display such signs or hand out leaflets anywhere on Walmart property. It was good to get out of the biting wind and warm up with the vehicle heater as I headed for my next ‘testing station’. 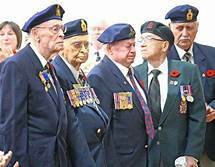 The #70 Legion in North Battleford has an outward appearance that does not reflect its inner reality. There seems to be some form of Legionnaires Disease here. Whatever, I had some time to wait before the doors opened for business so I sorted out the mass of ‘propaganda materials’ I had produced in my efforts to enable matters in flushing out the reality of Travis Patron and the Canadian Nationalist Party. I kept samples for my case against them and tossed the bulk in the garbage, which is where they belong. I sought permission ‘to dump’ from the Legion employee that was working around the building blowing up clouds of leaves for disposal. It appeared his task was near done. The day was warming up with wispy clearing skies and I struck up a conversation as he was preparing to depart. I showed him “Trudeau Must Go Now” and he was in vehement agreement that the Government was abusing seniors in general and Veterans in particular in matters surrounding pensions and health care. I gave him a copy of my Harjit Sajjan Poster and we discussed the reality of this patronage stooge appointment by Trudeau and the negative affects of Trudeau on our military. Our man outside had no fear or problem of vocalizing the truth with me in a one-on-one situation. But, this was not to be the case with the four elderly female fatsos that were cackling away happily and slurping on whatever was their preferred ‘juice for jargon’. They looked at me quizzically from across the room as I approached and gave a boisterous “Good Day Girls”. I identified myself as a Legion member, stated my purpose for being there and with a zealous ‘there you are fanfare’ and flourish thrust “Trudeau Must Go. Now!” into full view. Three of the hens squirmed and one attempted to rise in movement away but fell back into her roost. But, in her Bar Dress attire, ‘Beaver Betty the Daytime Commander of the Trenches’ rose to her feet and excitedly proclaimed: “you can’t speak political stuff in here” – “you can’t post your stuff in here”. I stated that I had no intention of ‘posting’ anything that I had come to inform the person in charge of the branch of what was underway, to leave my materials with them and be on my way. She smirked and would not assure me that she would deliver the materials to her ‘Commander’ if I left them. She made it obvious that she would like to see me reported as an ‘unfortunate causality of friendly fire’. 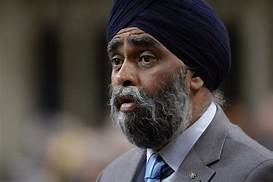 There were a few more ‘salvos’ and I stated “There is only one thing I am leaving with you.” I thrust the Sajjan handbill into full encounter with her jowls, placing it on the bar we were now alongside and left. Twits like this officious barmaid and even most Legion members do not know that our government has the symbol employed by the Muslim forces, people attempting to kill our troops, being worn by the Canadian Military Chaplaincy Branch. You had better read my post from three years ago and wake up Canada. Sit on your hands now and you will come under the sharia law of Islam and have to fight your way out from it, swimming in a sea of blood from ‘sea to shining sea’. I “undressed from winter gear at a locked door of Legion #9 in Battleford”, did my Tim’s free internet sojourn and headed out for Wainwright Alberta. I would ultimately overnight in my car at Lougheed but not before checking out the three buildings, the three Legion Tombstones at Cut Knife, Neilburg, and Marsden. An eerie peeling pale of death seemed to cling about them. The Legion was established to be a ‘blessing’ for the men and women that survived the wars they faced to ‘the honor and glory of God’. They were never meant to disintegrate to just another drunken, gluttonous social club fighting for the Canadian ‘entertainment feed feast drunken opinion point cry in my beer’ dollars. Woe be unto Legion members who let it come to this and greater woe to you that let it remain this. Is there something wrong on your ‘inside’? Perhaps you are just another ‘politically correct Christian’ on the ‘outside of God’ that needs to repent for turning your backs upon the Lord of this Nation. It was at the main Co-op Centre that I met Ernest Fineday and his eighty-four-year-old mother from Sweet Grass First Nations. 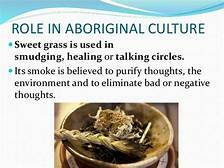 Perhaps there is more to this ‘sweet grass smoke’ than one may think. It certainly appears to inspired some belief about ‘eliminating bad or negative thought’. Ernest and his mother certainly were such people. This blessed woman has brought 14 children into our environment. Ernest is one of her five sons. As I told her, the number 5 is the number symbolic of God’s grace in the Bible. So, here I was seated beside the Co-op Grocery enter doorway on the bus stop bench with my “Trudeau Must Go. Now!” on my chest and my donation pail with the Donate for Legal Needs – Jail Him Now Trudeau poster fixed to its front. People passing were giving all kinds of acknowledgement of agreement, physical and vocal. But no one was giving a donation to help with Legal Needs to see the varmint jailed. That was until Mr. Fineday walked up and stuffed a bill through the slot and we entered into conversation. We discussed many items affecting First Nations and our society in general. To sum up what I stressed to him that was most important to achieve justice for First Nations and all Canadians as follows. This is what was presented to the Flying Dust First Nations on September 15, 2008 and basically what I presented to Ernest Fineday of Sweet Grass First Nations with our encounter. “The latest Saskatchewan propaganda show by Trudeau and immediate dissatisfaction of First Nations with his delivery of promises surrounding their legitimate concerns and grievances has highlighted our recent conversation. The matter of First Nations funding for education alone necessitates solid political action to achieve victory and justice. This will not be achieved through the First Nations methods employed thus far which is self-evident. This Federal Party needs to be established now by Flying Dust First Nation. You should take the leadership in doing so and all First Nations can join the FNPCP as the logic of the action is brought to their awareness. It is fallacy to place logic of awareness ahead of the logic of establishment. Establishment is a simple ‘paper filing process’ with support signatures required easily attained by FDFN within five days. The matter of fielding candidates from Coast to Coast is a separate issue that will take place during the ‘logic of awareness’ activation following FNPCP filing. The spirit and platform of the FNPCP must be the same one that the first immigrants encountered when they entered your lands. It must be ‘all embracing’ and life sustaining for all that follow its methods. Just as the methods and ways of the First Nations people were the only ways that the original immigrants were even able to survive in this land. If the policies of the FNPCP are designed in the spirit of the first people that occupied the Nation you will find that a great majority of Canadians will support your FNCPC. They will join your Party and they will vote for you in the coming election. And, at the very least you will form the official opposition Party in Parliament subsequent to the next election. The only way the current political stranglehold can possibly be maintained after this coming election if you take action is for the current parties to form a “hybrid block” to attempt “governing. It is impossible for them to have success given the nature of what they truly espouse and their historical records. In short order through our legislated methods the FNCPC will be able to see to the dissolving of the ‘2019 Parliament’ and recall to election that shall see the country fully under the leadership of the FNCPC. What Mr. Fineday will do remains to be seen. But, I gave him a package of the Federal Election Candidate Nomination Forms for him to consider simply running for office of MP himself. He would be a good choice in my books. Mother and son definitely encouraged me and uplifted my spirit to get Back on the Road Again to end the Abominations of Trudeau and Cronies within this land.